Elevated levels of lipoprotein(a) (Lp(a)) contribute to the risk of early and severe cardiovascular disease (CVD) and Lp(a) is acknowledged as a risk factor to be included in risk assessment. The established lipid-modifying medical therapies do not lower Lp(a) except niacin but no data of endpoint trials are available. Of the new lipid-modifying drugs a few have some impact on Lp(a). Whether the Lp(a) lowering effect contributes to the reduction of CVD events would have to be shown in Lp(a) dedicated trials. None of the available agents is indicated to lower Lp(a). Lipoprotein apheresis lowers levels of Lp(a) significantly by >60% per treatment. Trial data and data of the German Lipoprotein Apheresis Registry show that regular apheresis reduces cardiovascular events. The Apo(a) antisense oligonucleotide is the only approach to specifically lower Lp(a). The IONIS-APO(a)Rx phase 1 and 2 trials showed very substantial decreases of Lp(a) and good tolerability. The hepatospecific variant IONIS-APO(a)-LRx is 30 times more potent. The results of the IONIS-APO(a)-LRx phase 2 trial were presented recently. The highest dosages reduced Lp(a) by 72 and 80%; in about 81 and 98% Lp(a) levels <50 mg/dl were achieved. Tolerability and safety were confirmed, whereby injection site reactions were the most common side effects. This raises hope that the planned phase 3 trial will reproduce these findings and show a reduction of cardiovascular events. In 1963 Berg described the lipoprotein(a) (Lp(a)) system in man, was the first to note that the individual level of Lp(a) is inherited and that high levels are associated with early onset of atherosclerosis . In the following decades epidemiological data supported the initial findings, genetic trials confirmed that Lp(a) is a causal factor for developing atherosclerosis, and the negative impact of high levels of Lp(a) not only on coronary heart disease but also on development of aortic stenosis, peripheral arterial disease, and ischaemic stroke was shown [2, 3, 4, 5, 6, 7, 8, 9, 10, 11, 12]. On the other hand much is still almost unknown, e. g. the physiological role of Lp(a), the catabolism, and the clinical relevance in thrombotic and embolic events. High levels of Lp(a) are acknowledged as being associated with an increased risk of cardiovascular disease (CVD) by the 2016 European Atherosclerosis Society/European Society of Cardiology (EAS/ESC) Guidelines  and are considered to be a risk-enhancing factor by the 2018 American Heart Association/American College of Cardiology (AHA/ACC) Guideline . The consensus paper of the European Atherosclerosis Society gives a comprehensive overview of Lp(a) as a cardiovascular risk factor . The authors suggest measuring Lp(a) in individuals at intermediate or high risk of CVD, in case of premature CVD, familial hypercholesterolaemia, family history of premature CVD or high Lp(a), progressive CVD despite statin therapy, ≥3% 10-year risk of fatal CVD (European SCORE), or ≥10% 10-year risk of fatal or non-fatal coronary heart disease (US guidelines). Lowering LDL-c remains the first priority. Secondary a Lp(a) level <50 mg/dl (~ <80th percentile) is suggested as desirable. The somewhat arbitrary cut off level of 30 mg/dl is often used based on data showing the continuous increase of risk with increasing levels of Lp(a) and without an obvious threshold value . Since no endpoint data are available no target level can be specified. For statins, the backbone treatment for preventing and reducing cardiovascular events by lowering LDL-c, small decreases or increases of Lp(a) have been shown . But mostly Lp(a) is not affected by statins [15, 17, 18]. The same is seen for ezetimibe . Nicotinic acid (niacin) has a broad range of lipid-modifying effects, lowering LDL-c and triglycerides and increasing high density lipoprotein-cholesterol (HDL-c). In addition it was shown to lower Lp(a) for the first time in 1989 . High doses of nicotinic acid (2000–4000 mg) are needed to reduce Lp(a) significantly . However, this effect has not yet been shown in patients with high baseline levels of Lp(a) with regard to the inclusion criterion. A meta-analysis has summarised the beneficial effects of nicotinic acid on cardiovascular events , but it was not evaluated if the benefit is attributable to reduced levels of Lp(a). Additionally the positive effects are mainly from the pre-statin era. The EAS consensus paper states that niacin should be used to reduce high levels of Lp(a) because of the evidence and despite the fact that it cannot be excluded that the benefits are not attributed to lowering Lp(a) but to the favorable effects on other lipoproteins . 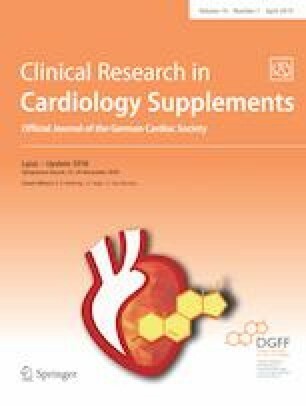 In 2013 the combination of extended release niacin and laropiprant, a flush inhibitor, was withdrawn from the European market after the Heart Protection Study 2—Treatment of HDL to Reduce the Incidence of Vascular Events (HPS2-THRIVE) was stopped early because of a significant increase in bleeding events, including intracranial haemorrhage . Although the reasons have not been elucidated the use of nicotinic acid continues to be debated. Lipoprotein apheresis (LA) as an extracorporeal method lowers LDL-c and Lp(a) acutely and significantly by 60–70% but has to be applied regularly (mostly weekly). Few countries consider high levels of Lp(a) to be an indication for lipoprotein apheresis in very high-risk patients if all other cardiovascular risk factors, mainly LDL-c, are treated optimally [24, 25, 26, 27]. Beneficial effects of LA on the course of CVD are shown by retrospective evaluations, prospective (but not blinded, randomized controlled) trials, and analyses of the German Lipoprotein Apheresis Registry [28, 29, 30, 31, 32, 33, 34, 35]. LA is generally well tolerated and safe [27, 36] but time consuming, expensive, only offered in specialised centres, and often not covered by health insurance. Several new lipid-modifying drugs to reduce LDL-c are currently under investigation. They lower LDL-c and Lp(a) to varying degrees though lowering of Lp(a) has never been the target or a primary endpoint. Since all agents primarily lower LDL-c it would be difficult to show if the Lp(a) lowering effect is clinically relevant, as with niacin. Of these, only PCSK9 inhibitors are widely available. Both evolocumab and alirocumab lower LDL-c about 50 to 60% and in some trials the lowering of Lp(a) was assessed, too. The mechanism by which Lp(a) is reduced is matter of debate. With evolocumab reductions of 25.5%  and with alirocumab reductions of 30.2%  were reported. A pooled analysis  of three phase 2 trials using alirocumab for 8 or 12 weeks analysed the Lp(a) lowering effect. Levels ranged from 2 to 181 mg/dl and the two groups consisted of participants with baseline levels of ≤50 mg/dl and ≥50 mg/dl. The median absolute reduction was 3.5 and 27 mg/dl, respectively, the median percent reduction 36 and 27%, respectively. Interestingly in patients with LDL-receptor negative homozygous FH evolocumab reduced Lp(a) by 20% while LDL-c did not decrease . The upregulation of other receptors, e. g. the very low density (VLDL) receptor that mediates the uptake of Lp(a) into macrophages, might be an explanation for this finding. There are further contradictory results by what mechanism Lp(a) is reduced. Some data show an increased catabolic fraction rate, others a reduced synthesis . In the FOURIER trial Lp(a) was reduced significantly by evolocumab and participants with higher absolute reductions of Lp(a) tended towards a greater benefit . Antisense oligonucleotide (ASO) drugs are a relatively new way to very specifically target genes on the mRNA level and are used in different medical fields. Mipomersen, the first ASO used in hypercholesterolaemia, interferes with the encoding mRNA for ApoB100. The production of ApoB100 is reduced via inhibition of translation to the protein. Consequently less very low density lipoprotein (VLDL) is assembled in the liver resulting in lower levels of circulating LDL-c. As a side effect, less triglycerides are excreted from the liver and accumulate often leading to fatty liver disease and elevated transaminases [43, 44]. By what mechanism levels of Lp(a) are lowered is not entirely clear. In four phase 3 trials mipomersen given subcutaneously versus placebo levels of Lp(a) were significantly reduced by 21–39% . Thus mipomersen might reduce the necessity for lipoprotein apheresis in high-risk patients [46, 47]. The most common side effects were severe injection site reactions and liver steatosis is also of concern. Because of the side effects mipomersen was not widely approved and is available in the USA only. IONIS-APO(a)Rx, an antisense oligonucleotide molecule, is the first measure developed to specifically address the mRNA of Apo(a). Trials in transgenic mice  and phase 1 results showed relevant decreases of Lp(a). In a phase 1 trial in healthy volunteers (Lp(a) levels ≥25 nmol/l) IONIS-APO(a)Rx significantly lowered Lp(a) in a dose-dependent manner. The highest dose of 300 mg reduced Lp(a) by 77.8%. In one individual the maximal reduction was 88.8% after 36 days. Impressively Lp(a) did not increase immediately but was still low 84 days after the last application . The use was safe and the most common side effects were injection site reactions. As a ligand-conjugated variant of IONIS-APO(a)Rx the hepatocyte specific IONIS-APO(a)-LRx was developed. The triantennary N‑acetylgalactosamine complex (GalNAc3) facilitates the fast and specific uptake by hepatocytes . This modification enhanced the potency of the Apo(a)-ASO by >30 times . Since Apo(a) is targeted VLDL is produced and there is no fat accumulation in the liver. The IONIS-APO(a)Rx phase 2 trial confirmed the positive results regarding effectivity and safety . In 64 participants IONIS-APO(a)Rx was applied subcutaneously in an escalating-dose manner for 12 weeks (100 mg, 200 mg, and 300 mg, each once a week for 4 weeks) versus placebo. Two cohorts were formed according to Lp(a) baseline levels: cohort A: Lp(a) 125–437 nmol/l (placebo group: mean 251.6 nmol/l and median 216.3 nmol/l, verum group: mean 254 nmol/l, median 261.4 nmol/l) and cohort B: Lp(a) ≥438 nmol/l (placebo group: mean 488.3 nmol/l and median 498.3 nmol/l, verum group: mean 444.9 nmol/l, median 457.6 nmol/l). The primary efficacy endpoint was reduction of Lp(a) at day 85 or 99. Secondary endpoints were effects on other lipoproteins and risk factors. In both cohorts Lp(a) was reduced significantly: cohort A—66.8%, cohort B—71.6% at day 85/99. Additionally, levels of LDL-c, ApoB, and oxidised phospholipids (OxPL) were reduced significantly in both cohorts. LDL-c was lowered by 13.0% in cohort A and by 23.9% in cohort B, ApoB by 11.3 and 18.5%, respectively, OxPL-ApoB by 35.2 and 42.5%, respectively, and OxLP-Apo(a) 26.6 and 36.7%, respectively. Baseline statin therapy had no significant effect on these results. The treatment was safe and well tolerated. Two myocardial infarctions and one episode of angina pectoris in high-risk patients were not assessed as treatment related. Injection site reactions occurred in 10% in cohort A and in 19% in cohort B (one participant stopped treatment). Another phase 1/2a first-in-man trial  was done with the GalNAc3 modified IONIS-APO(a)-LRx′ in healthy volunteers with levels of Lp(a) ≥75 nmol/l. In the single-dose phase participants (n = 28) received one subcutaneous injection of 10, 40, 80, or 120 mg versus placebo. In the multiple-dose phase (n = 30) IONIS-APO(a)LRx 10 mg, 20 mg, or 40 mg were administered at days 1, 3, 5, 8, 15, and 22 versus placebo. The primary efficacy endpoint was reduction of Lp(a) at day 30 (single-dose phase) and day 36 (multiple-dose phase). Baseline levels of Lp(a) were 147.8 nmol/l (mean) and 128.6 nmol/l (median) in the single-dose phase and 153.8 nmol/l (mean) and 145.6 nmol/l (median) in the multiple-dose phase. In the single ascending dose phase Lp(a) was reduced significantly in a dose-dependent manner at day 30. The mean treatment differences versus placebo (+2.8%) were 24.8% (10 mg group), 35.1% (20 mg group), 48.2% (40 mg group), 82.5% (80 mg group), and 84.5% (120 mg group). The reduction was still significant after 90 days (46% in the 80 mg group and 44% in the 120 mg group). Also in the multiple ascending dose phase Lp(a) was reduced significantly. The treatment differences versus placebo were 59.4% (10 mg group), 72.3 (20 mg group), and 82.4% (40 mg group). At day 113 after the last application the lowering effect was still significant with 39% (10 mg group), 53% (20 mg group), and 58% (40 mg group). The results of the biggest conducted IONIS-APO(a)-LRx (AKCEA-APO(a)-LRx) phase 2 trial were presented at the AHA Scientific Sessions, Late-Breaking Clinical Trial Presentation, on 10 November 2018 . The trial was a randomized, double-blind, placebo-controlled, and dose-ranging trial in 286 patients with established CVD and high levels of Lp(a) (baseline mean of approximately 100 mg/dl [250 nmol/l]). Five cohorts were compared: 20 mg were administered every 4 weeks, 40 mg every 4 weeks, 20 mg every 2 weeks, 60 mg every 4 weeks, and 20 mg every week, each for 6–12 months. The primary efficacy endpoint was percent change in Lp(a) from baseline at 6 months. AKCEA-APO(a)-LRx decreased Lp(a) in all groups (20 mg every 4 weeks: −35%, 40 mg every 4 weeks −56%, 20 mg every 2 weeks: −58%). The effect was even greater in the highest doses (60 mg every 4 weeks: −72%, 20 mg weekly: −80%) and in about 81% and 98%, respectively, Lp(a) levels <50 mg/dl were achieved. The completion rate was high (90%) and comparable in both groups (verum 12.1%, placebo 14.9%). There were no severe safety concerns and few adverse events. Injection site reactions were the most common (26%) with one patient discontinuing. The new developments of lipid-modifying drugs will allow a more effective reduction of LDL-c and Lp(a) and a more patient-individualised therapy. LDL-c treatment goals and even lower levels than recommended by guidelines today can be reached. The first outcome trials show that cardiovascular events are reduced as a consequence. If the Lp(a) lowering capacity of PCSK9 inhibitors contributes to this favourable outcome is unclear. IONIS-APO(a)Rx is the first antisense oligonucleotide to reduce specifically Lp(a). Phase 1 and 2 trials showed the significant reduction of Lp(a) and a very promising safety profile. The GalNAc3 modified molecule IONIS-APO(a)-LRx was developed for fast and specific uptake by hepatocytes which increased the potency more than 30 times. The highest dose of AKCEA-APO(a)-LRx reduced Lp(a) in the phase 2a trial by 80% and in 98% of the participants Lp(a) was lowered to <50 mg/dl, the recommended threshold. The high effectivity and the favourable tolerability and safety data of these trials raise the expectation that an outcome trial might reproduce these findings and that this significant reduction of Lp(a) might reduce cardiovascular events. The data regarding reduction of cardiovascular events by lowering Lp(a) via lipoprotein apheresis support this expectation. AKCEA-APO(a)-LRx reduces other lipoproteins and oxidised phospholipids which might contribute to the expected beneficial clinical effects. The Apo(a)-ASO is the first drug to lower Lp(a) specifically, to a great extent, and with a promising safety profile. This, for the first time, will allow cardiovascular end point trials elucidating if lowering Lp(a) specifically reduces cardiovascular events. A. Vogt has received speakers’ honoraria for presentations and advisory board activities by Aegerion, Amgen, Berlin Chemie, Fresenius, Genzyme, a Sanofi company, Kaneka, OmniaMed, Regeneron, Sanofi. AV has received research support by Merck Sharp & Dohme.